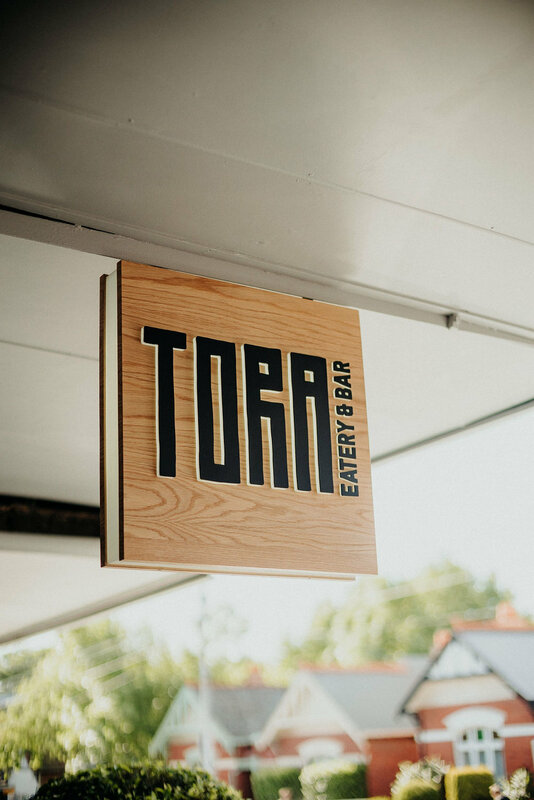 Tora Eatery is a modern restaurant and bar that serves up a fusion of Japanese Thai street snacks and comfort food. Tora is located in the culturally dense inner city suburb of Windsor surrounded by art galleries, yoga studios, and bustling nightlife. The key brief when designing the interior of this restaurant was to create a feeling of warmth reminiscent of home, with a nod towards the fusion of Asian cultures. 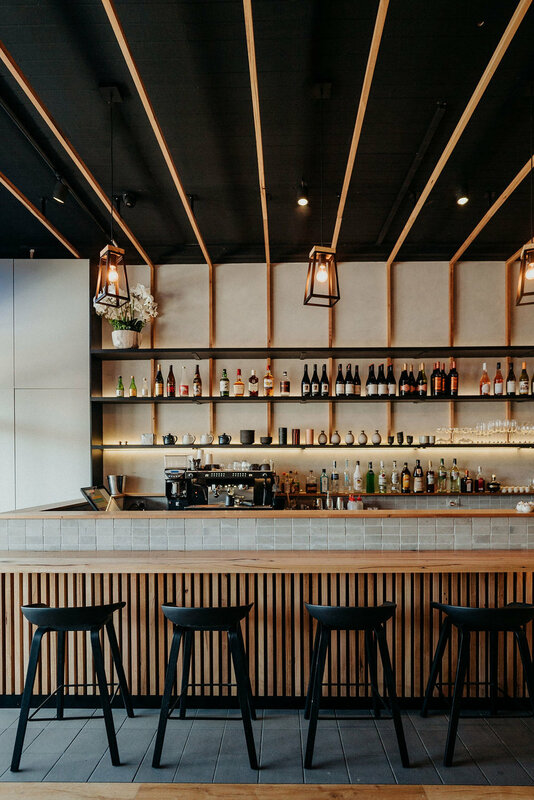 The feature messmate timber encapsulates the restaurant, creating a feeling of warmth. The interior is a fusion of textures and finishes, old and new - from the polished plaster walls, matt grey feature tiles to the original timber ceiling, window and door trims painted in fresh black paint. Originally operating as a café, we salvaged what we could of the original interior, without compromising the outcome of the new design. Tables and chairs were retained, together with the location of the existing bar. New finishes were applied throughout, and a new bar that allowed for new seating requirements. Subtle led illumination was installed behind shelves, under the bar and behind the banquette, creating a truly moody feeling, perfect for evening dining.